The following report on conditions in Prizren, a year after the Serbian conquest of the town on 3 November 1912, was sent to the Austro-Hungarian Foreign Minister, Count Leopold Berchtold, by Vice-Consul Kohlruss, his representative in Prizren. (Photo: Robert Elsie, April 2010). When the Serbs took Prizren over a year ago, they announced to the “liberated” population of the region that there would be full equality for all nationalities and religions. Peace, order and justice would reign from then on in the newly conquered country. They have kept none of these promises. The Muslims are discriminated against everywhere. 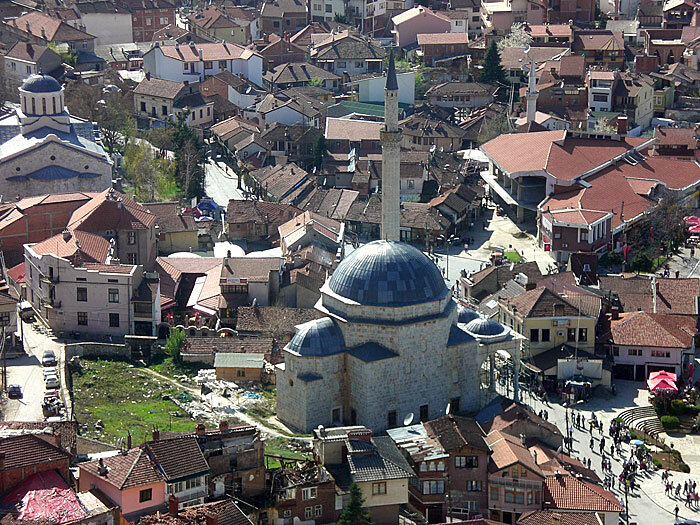 Of the 32 mosques in Prizren, only two have received permission to hold religious functions. The rest of them are being used as stables, haylofts, barracks and warehouses. The Muslims are sometimes not even able to carry out their religious ceremonies in these two mosques. On occasion, they have to evacuate them in the middle of prayer to make way for Serbian soldiers who are billeted in them when there is a lack of accommodation elsewhere. The muezzins no longer dare call the faithful to prayer from the minarets because their calls provoke scorn from the Serbian soldiers and passers-by. It is also rumoured that the many of the minarets in town are soon to be demolished. The Catholics can only visit their churches and priests unimpeded thanks to the protection of the Protecting Power [Austria-Hungary]. The corruption of officials, who have in good part been recruited from the ranks of the one-time comitadjis (e.g. the former district secretary Studić, now načalnik of Mitrovica, was the head of the political organizations of New Serbia before the Balkan Wars) and the custom of giving baksheesh by far surpass anything that took place under Turkish rule. The following case is typical of the greed of even high-ranking officials, and of the necessity of providing them with baksheesh. When the municipal secretary of Gjonaj was murdered and the investigation set up by the Serbs revealed in no uncertain terms that the murder was committed by some of the inhabitants of the village, the military authorities decided to burn the village down. A few days earlier, under similar circumstances, the villages of Ujzi and Fshaj were also burned down by the troops. The 200 Turkish pounds that the villagers of Fshaj offered as a gift to the district prefect sufficed to save Gjonaj. As a result of military requisitioning during the war, the impoverished Muslim population of the town and of the countryside is being forced to pay taxes that it cannot afford to pay. Some of this money goes into the government treasury, but most of it ends up in the pockets of government officials. The tragic situation in which the Muslims of this region find themselves has led to them thinking about emigrating to Asia Minor, Albania or Bosnia. 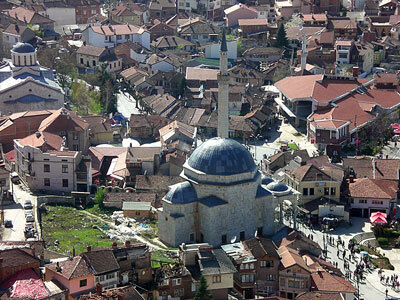 However, most of the Albanian Muslims still firmly believe that the Serbs will not stay in the region for long. They regard Serbian rule as a temporary conquest, like the expedition of Torghut Pasha, and believe that it will soon pass. When this hope fades, there will no doubt be a mass emigration of the non-Serb population. This would be to the political detriment of the Albanians but also, and no less so, to the economic disadvantage of the Serbs because the latter probably do not have enough people to recolonize the region. What is more, one hears talk of dissatisfaction with the new regime even from the local Serbs. They had been expecting an economic recovery in town and material advantage from the political change. Instead of this, the Orthodox have also been subjected to higher taxes and contributions, even though not as high as those paid by the Muslims and Catholics. In addition, much of Prizren’s market, now in Montenegro and Albania, has been lost. There, the population has turned to the markets of Skutari [Shkodra] and Antivari [Bar] which, though farther away, are cheaper. The Serbs are also terrified at the thought of an attack from near-by Albania. The border (the Drin River) is in some places only about an hour’s march from the town and, in order to calm the frightened Serbs, the government has often been spreading rumours that the Great Powers have decided to push the Albanian border back to the Vizier’s Bridge. Copy of this report sub No. 11 to Belgrade.